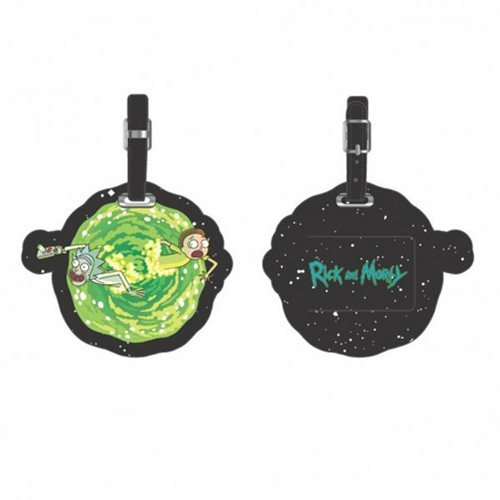 Tag your bag for interdimensional travel with this cool Rick and Morty Portal PU Leather Luggage Tag. One side pictures our heroes as they pass through a portal, and the other side displays the Rick and Morty logo against a starry background. Maybe you'd better order more than one!